Sparkle and shine meet comfy and cozy in our celebrity kid-inspired faux fur jacket with sequin detailing, and hidden snap closure. 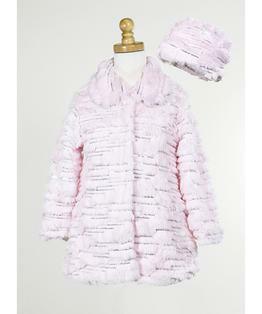 This jacket comes with matching hat - a combo that is a true attention-getter! 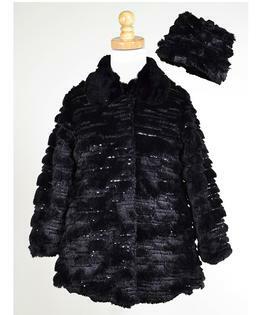 Super soft fur with all over embroidered silver sequins. Comfy plush micro fur lining. 100% Polyester. Machine Washable.